Be a part of the Challenge Women in 2016! 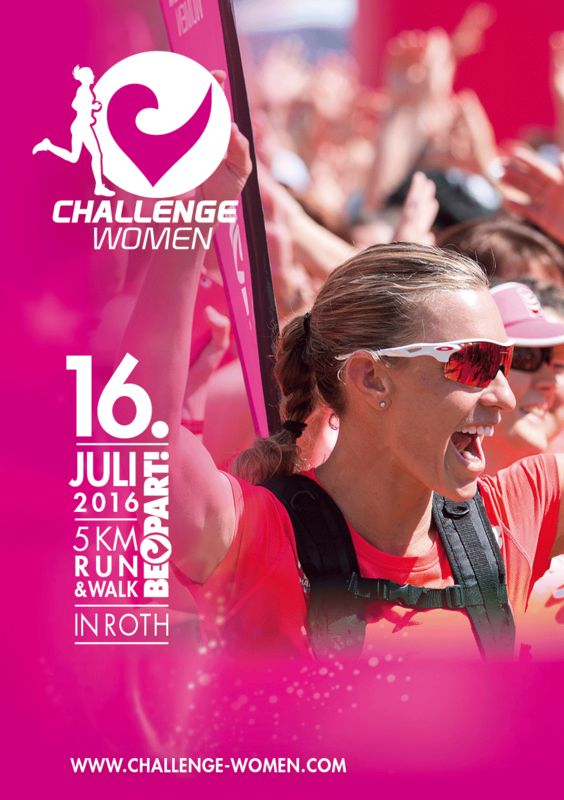 A 5 km run and walk on July 16, 2016 – starting at 11:15 am at the expo area right next to the Challenge Women tent where it will end as well after 5km. We would like to invite you to be part of this unique event during the DATEV Challenge Roth. There is also a dedicated expo area for women, inviting you to experience activities about running, nutrition and lifestyle. Saturday, 16th July 2016 – 5 km run & walk. The track will take you along a really nice track where you can challenge yourself and be cheered on by many spectators, family and friends. Start is the Challenge Women Expo Area with a fantastic atmosphere and a warm up program. The finishing line will be an absolute Highlight – you will finish your run right on the fairground in Roth. After passing the finishing line you will be welcomed by drinks, snacks and fruit and your friends and family to enjoy the rest of the day. Experience the amazing feeling of Roth yourself! Download the Challenge Women Roth Program here.